Home, for me, was not a birthright, but an invention.… It seems to me when we speak of home we are speaking of several things, often at once, muddled together into an uneasy stew. We say home and mean origins, we say home and mean belonging. These are two different things: where we come from, and where we are. Writing about belonging is not a simple task. 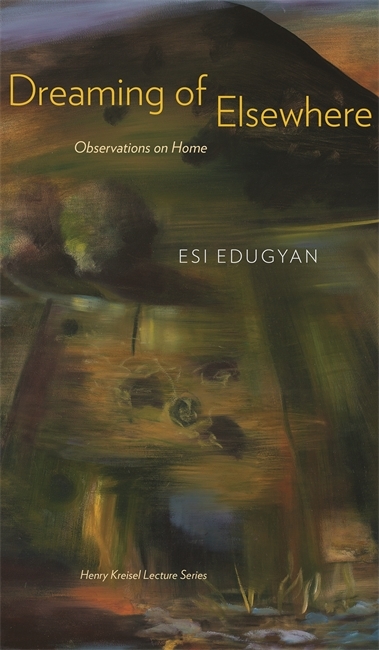 Esi Edugyan chooses to intertwine fact and fiction, objective and subjective in an effort to find out if one can belong to more than one place, if home is just a place or if it can be an idea, a person, a memory, or a dream. How "home" changes, how it changes us, and how every farewell carries the promise of a return. Readers of Canadian literature, armchair travellers, and all citizens of the global village will enjoy her explorations and reflections, as we follow her from Ghana to Germany, from Toronto to Budapest, from Paris to New York. Esi Edugyan’s most recent novel, Half-Blood Blues, won the 2011 Scotiabank Giller Prize for Fiction. It was a finalist for the Man Booker Prize, the Governor General's Literary Award for Fiction, the Rogers Writers’ Trust Fiction Prize, and was longlisted for the 2012 Orange Prize for Fiction. Edugyan has held fellowships in the US, Scotland, Iceland, Germany, Hungary, Finland, Spain, and Belgium. She lives in Victoria, British Columbia.